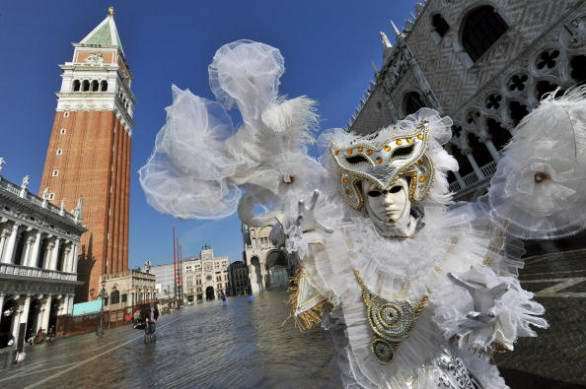 Discover Italian Top carnival events, beyond worldwide known Carnevale di Venezia. 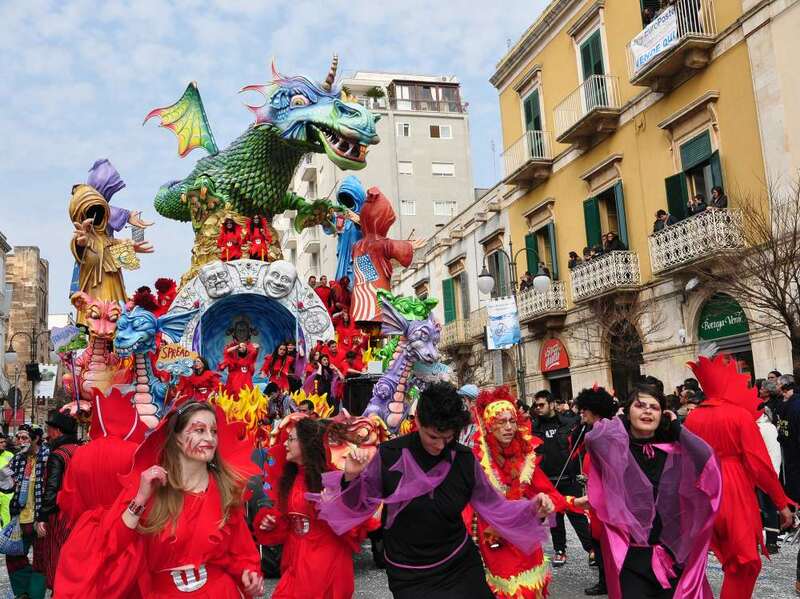 February in Italy means that just about every city on the Peninsula is invaded with masks, confetti, colors and lights that make for a very exciting and unique atmosphere: it’s Carnival! 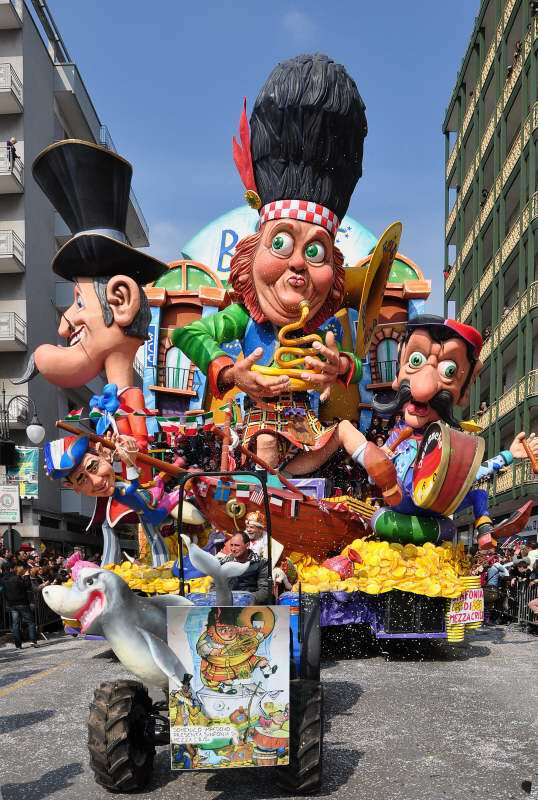 In 2015, carnival will take place between January 31st and February 17th (celebrations dates may vary depending on the location): what are you waiting for? 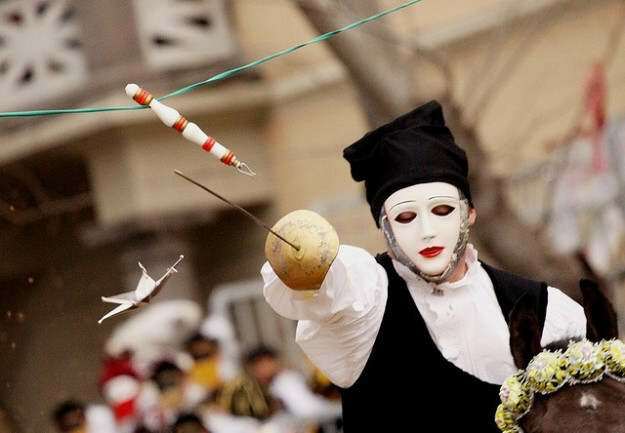 Carnevale, the final party before Ash Wednesday and the restrictions of Lent, is an event not to be missed if you are in Italy in February/March. 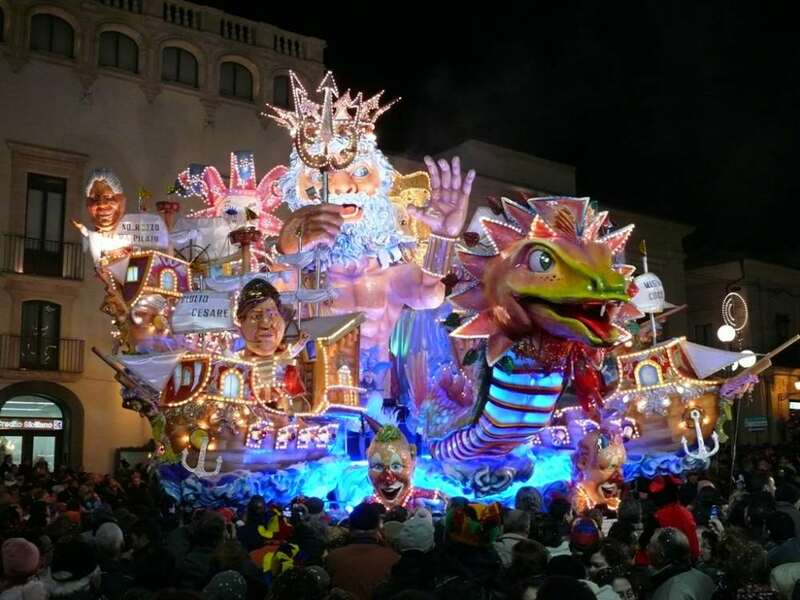 Parades, masquerade balls, entertainment, music, and parties all together contribute to make Italian Carnival a magical time in the year, for both adults and children. 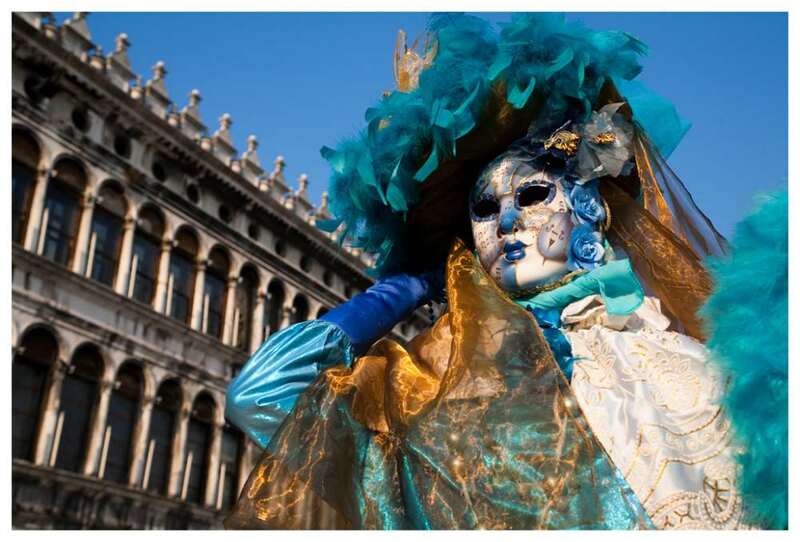 Everybody has in mind the fairy pictures of Venice carnival, one of the most famous carnival in the world. 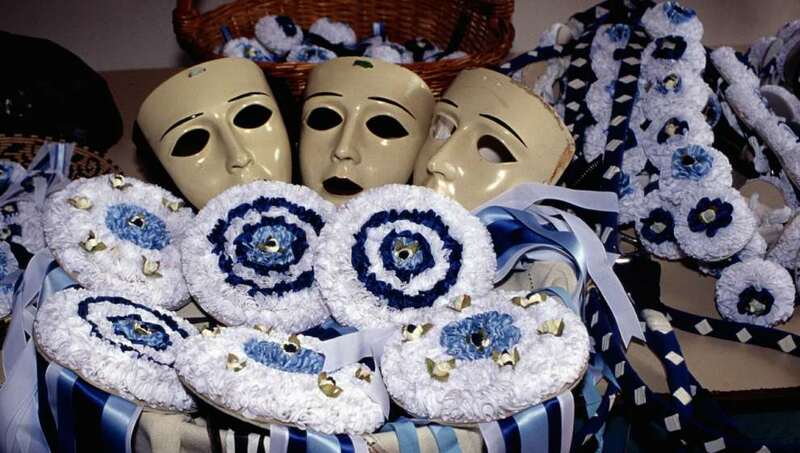 But, as it is so common in Italy, every region has developed its unique Carnival traditions, and discovering peculiar carnivals such as those of Ivrea and Oristano is a real surprise. In this post I’ll drive you to my preferred carnivals in Italy. Some of them are very well known (as Venice and Viareggio), while some other (like Putignano) are really off the beaten tracks! 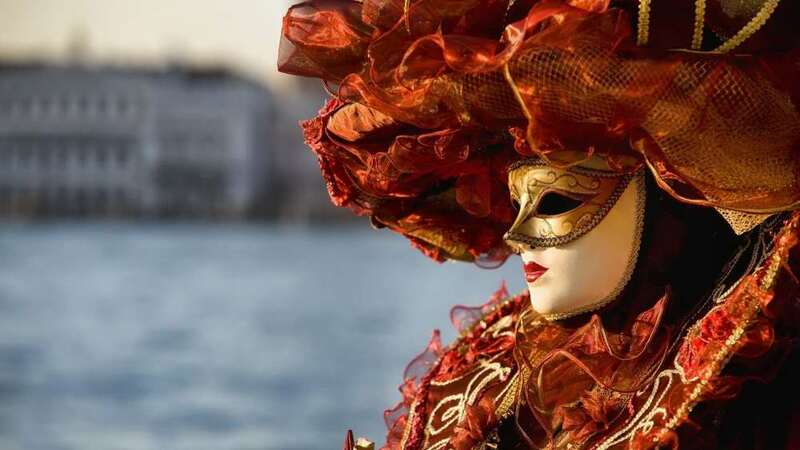 Venice Carnival doesn’t need many words: it’s one of the most famous Carnivals in the world! Carnival is a great time to be in Venice, with so many shows going on all around, improvised by street artists as well as planned by the town council. Events and entertainment are held nightly throughout Venice. But the true protagonist of Carnival are the masks, that allows those who wear them to transform themselves into whomever they wish to be – at least for a few days or hours. 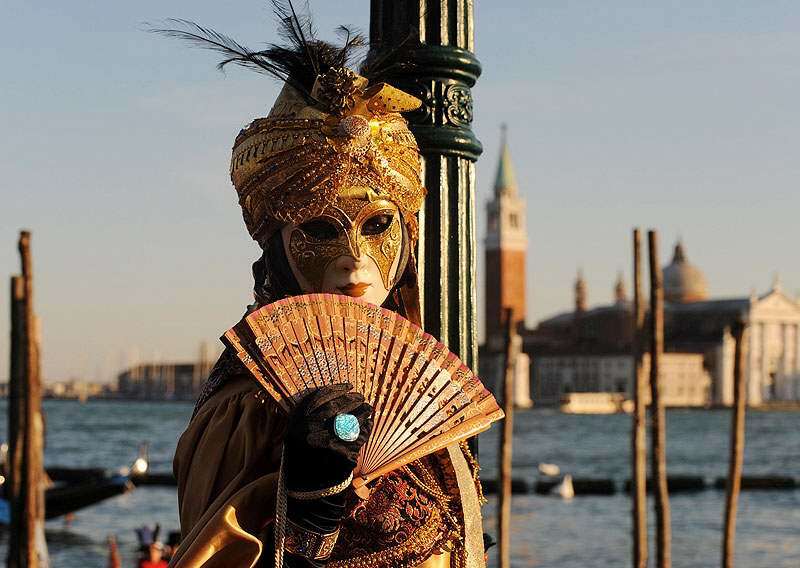 You will find all sort of people in costume wandering around Saint Mark’ s square, the very heart of the feast, and all over the City, transforming Venice in a truly unbelievable place. 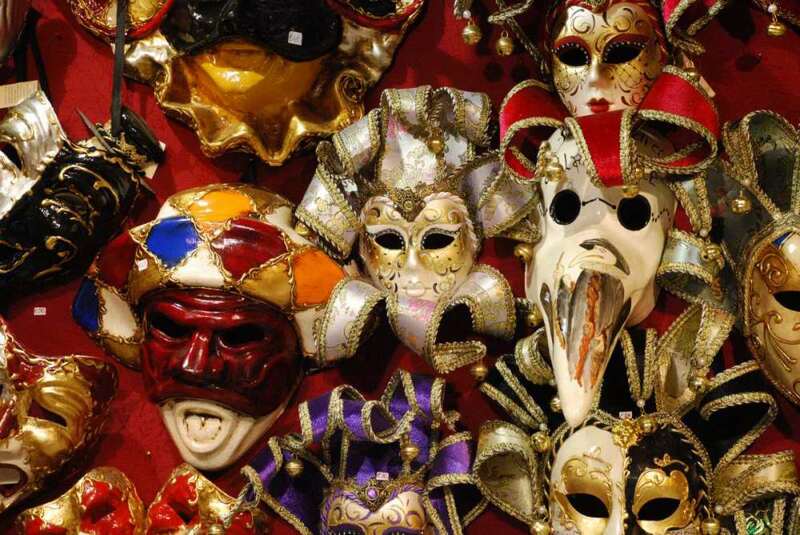 Carnival masks are sold year round and can be found in many shops in Venice, ranging from the cheapest to the most elaborate and expensive ones. During Carnival, browsing masks shops to admire the variety of masks and costumes displayed is real fun. And, why not, you may purchase one and participate to one of the many private and public costume or masquerade balls! An event not to be missed is the Volo dell’Angelo (“flight of the Angel”). 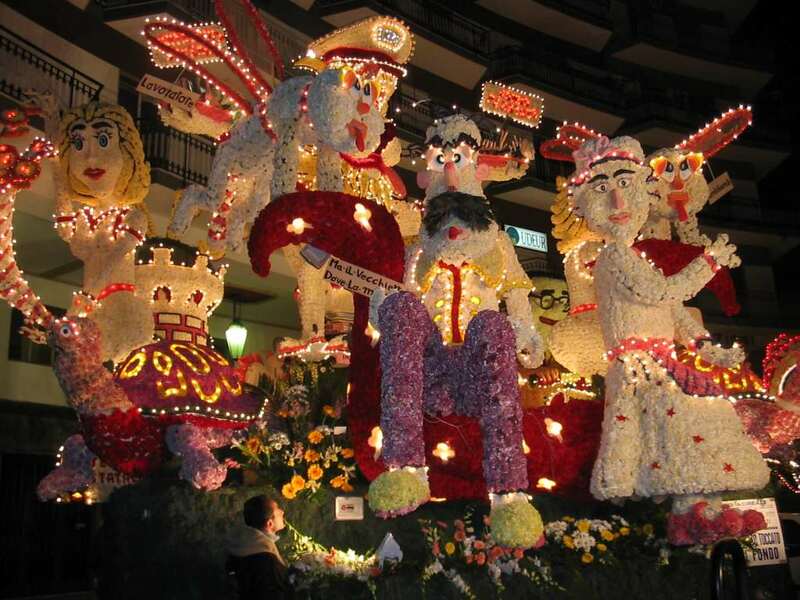 The “Flight of the Angel” is a traditional event that goes back to the Serenissima period. 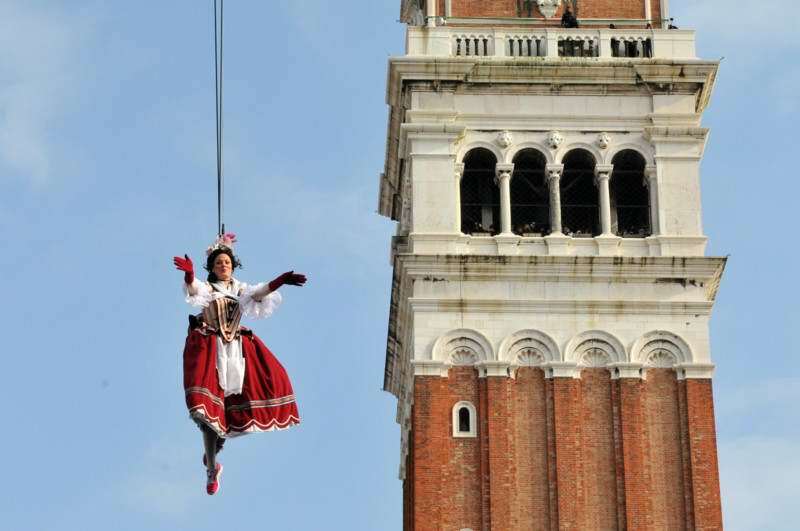 Today, a girl, dressed in a beautiful and colorful costume flies along a rope from San Marco bell tower to the middle of the square, to offer an homage to the Doge and to be greeted by the galvanized crowded parterre. 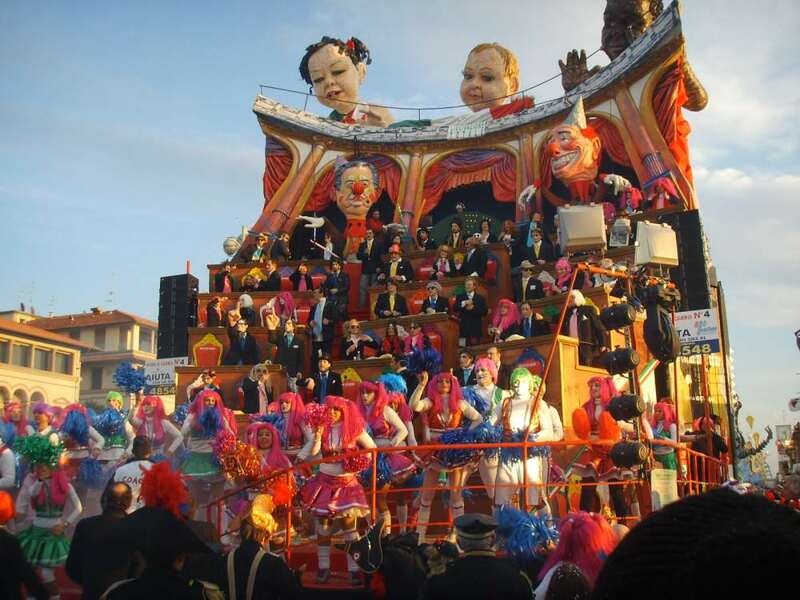 The Carnival of Viareggio is one of the most famous in Italy: it lasts a month with night and day celebrations, floats, parades, district celebrations, masked dances and other shows. 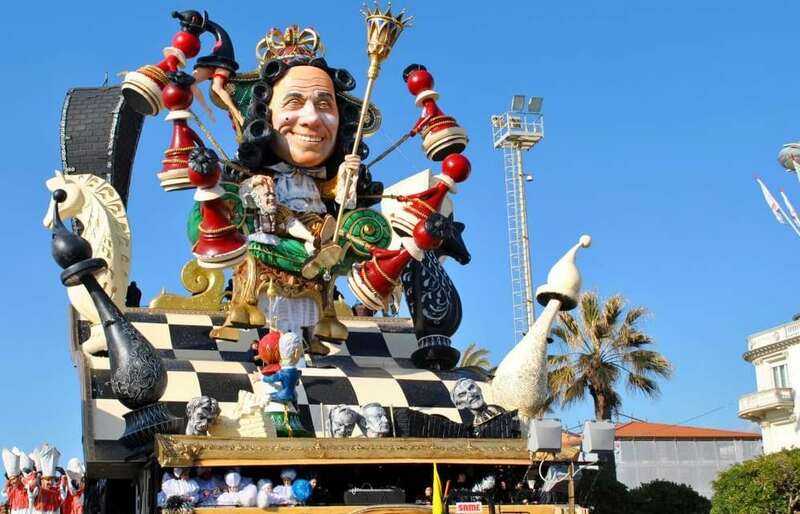 Viareggio Carnival is worldwide known for its giant, allegorical paper maché floats used in parades not only on Shrove Tuesday but also the three Sundays before and two weekends following . 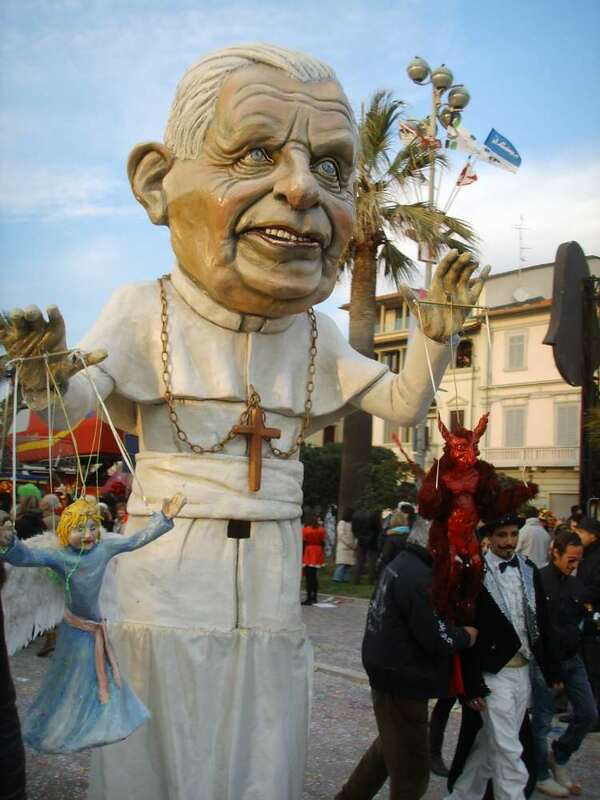 Atop these floats that parade along the coast of Viareggio, gigantic caricatures of the big political, cultural and showbiz names dominate, making it a great fun to view the parade. 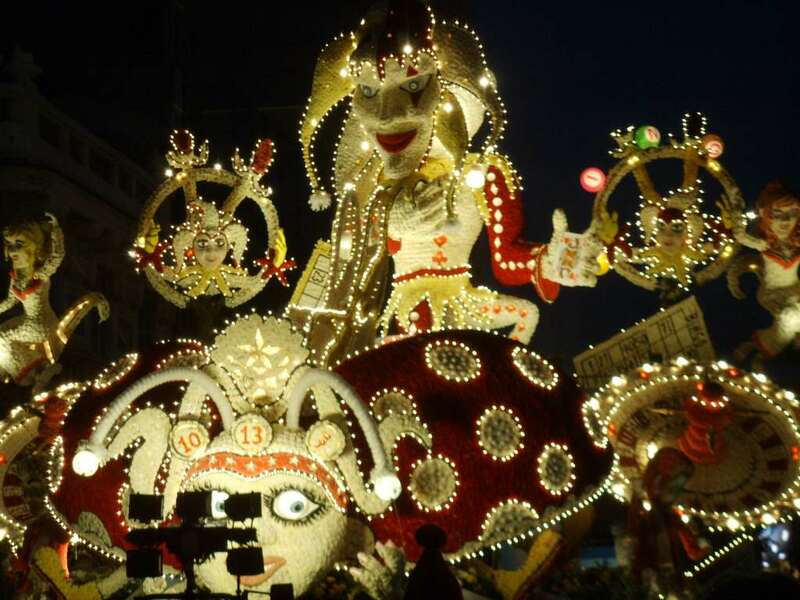 The entire Carnival of Viareggio is accompanied by masked and musical all-nighters in the streets. 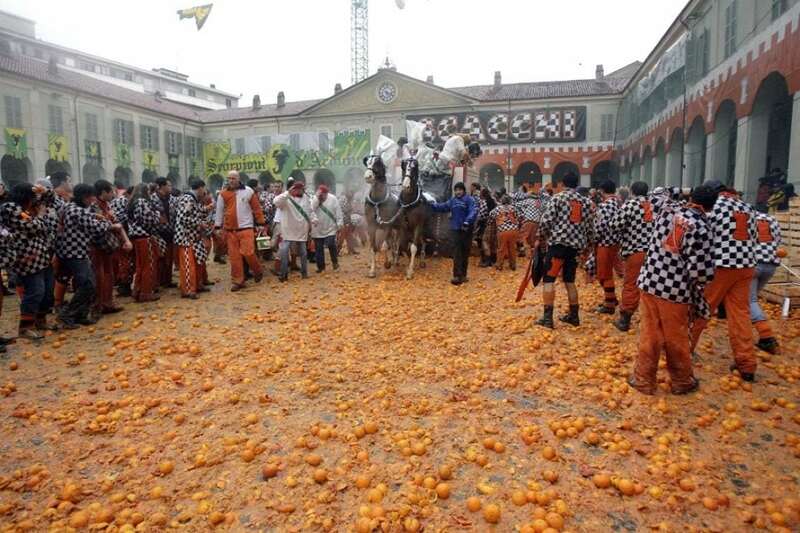 The historic Carnival of Ivrea is mostly known for its Battle of the Oranges, allegory of struggle for freedom. 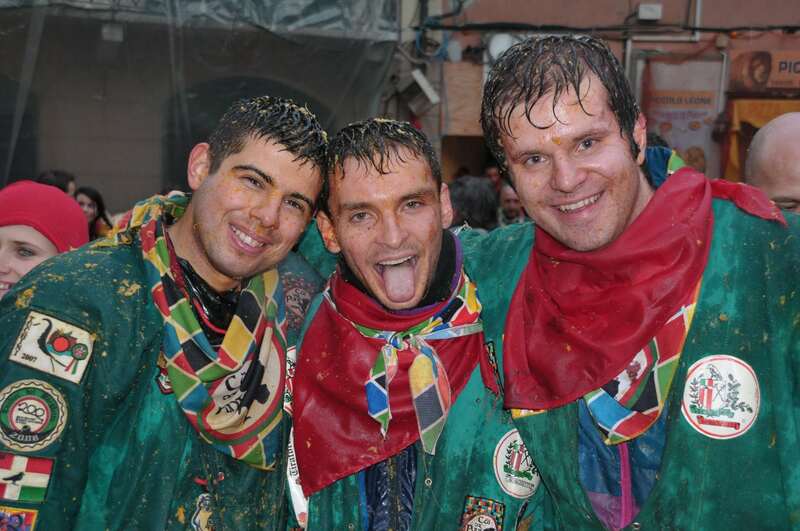 It is valued as one of the most ancient carnivals in the world. The re-enactment of the city’s liberation from tyranny dates back to medieval times: a baron who starved the city was driven away thanks to a miller’s daughter who rebelled against the “jus primae noctis” and roused the people to revolt. 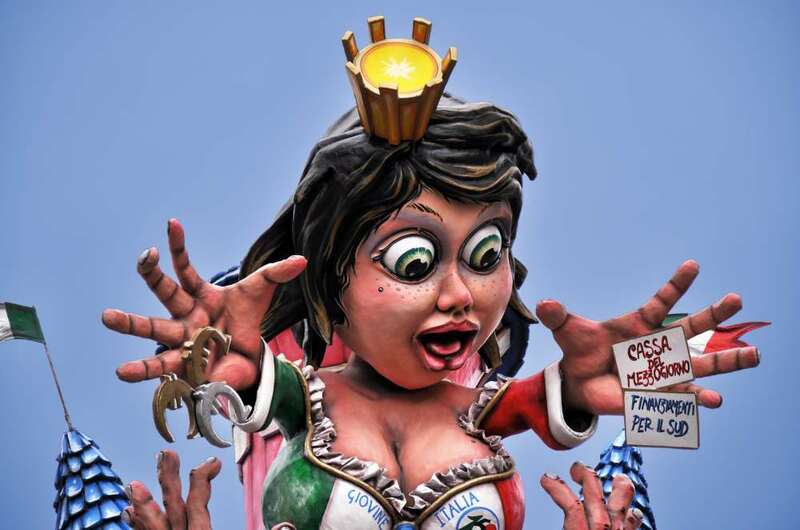 Hence, the heroine of the Carnival is the miller’s daughter (“mugnaia”) along with a complete set of historical characters: the General, the Assistant Grand Chancellor, the Magnifico Podestà. All this figures march in parade with the flags of the Parishes and the Pies & Drums. 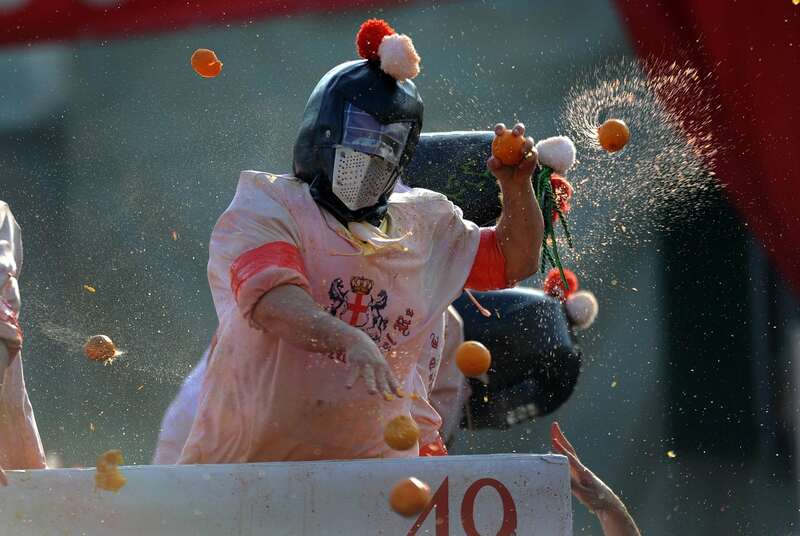 But the real highlight of the Carnevale di Ivrea is the famous and spectacular Battle of the Oranges. 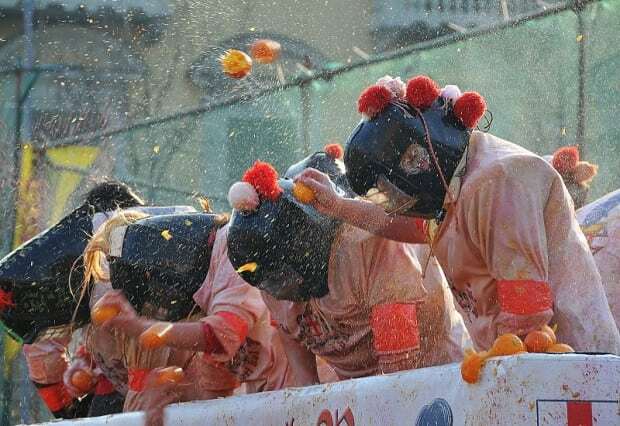 In the battle the people, represented by orange throwers on foot without any protection, pelt oranges at the feudal lord’s army, personified by others throwing oranges from horse-drawn carts, who wear protective masks reminiscent of ancient armor. 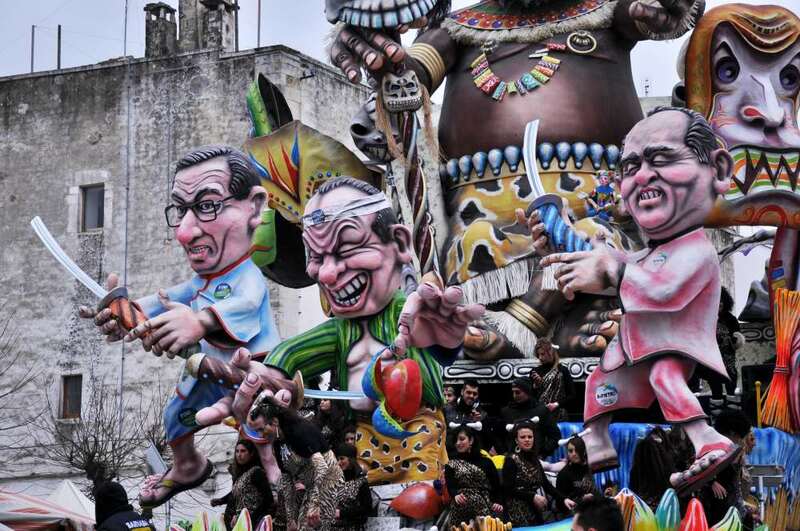 The Carnival of Putigliano, in the southern region of Puglia, is a less known yet really impressive Carnival. 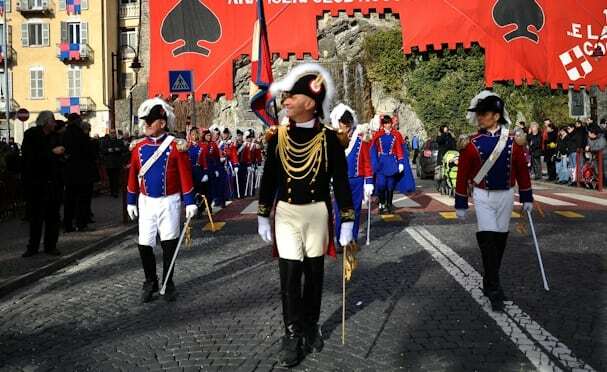 It is considered one of oldest (it dates from 1394) and longest Italian carnival: it starts the day after Christmas and finishes the day before the ash Wednesday! 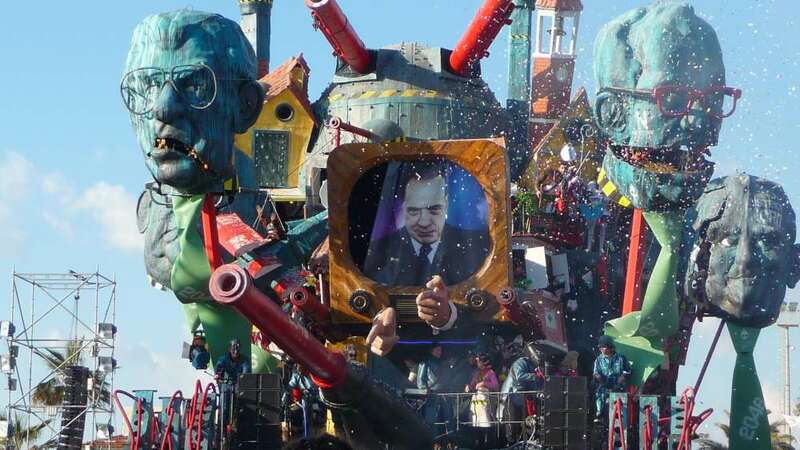 As with all the Carnivals, the town explodes with masks and papier-maché floats that parade the city streets in all their colorful magnificence. 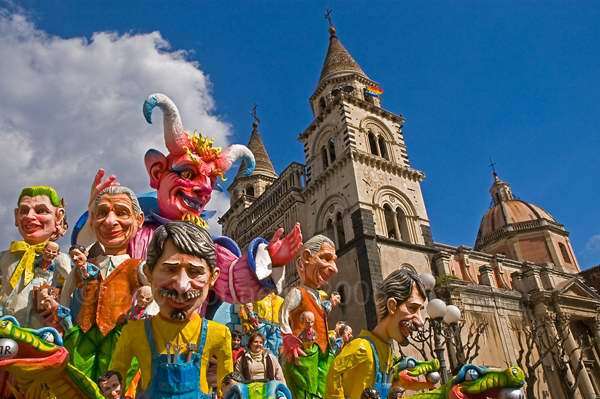 Acireale holds one of Sicily’s most beautiful Carnival celebrations, and one of the most peculiar in Italy. 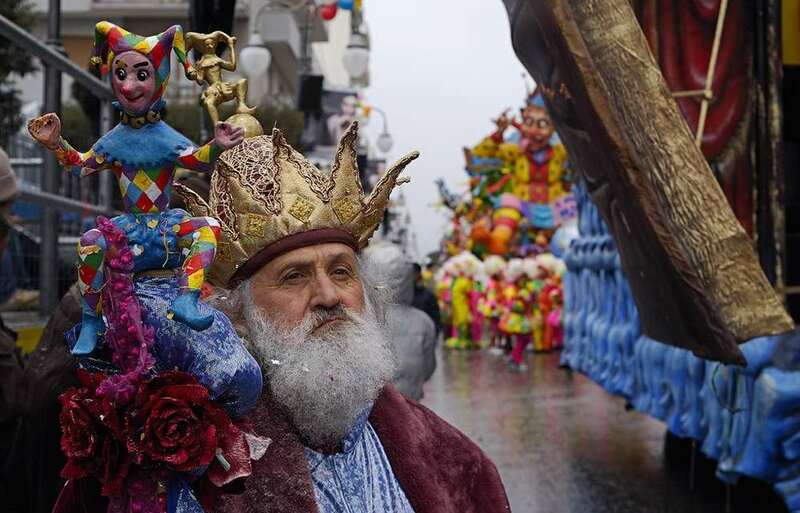 Indeed, the Carnival of Acireale is known for its unique flower and paper-mache’ allegorical floats, parading through the town’s Baroque center since 1601. 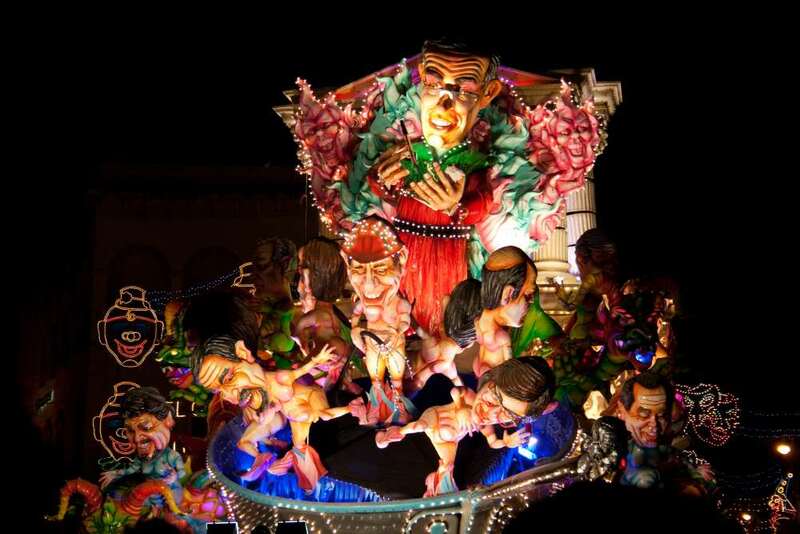 The other feature that makes this carnival unique is that Acireale is also a night Carnival, with magically illuminated floats parading in the streets. 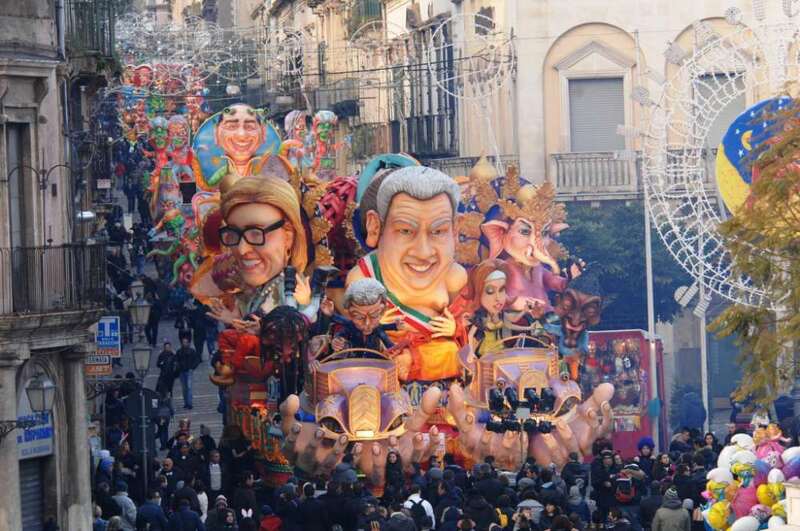 Music, a chess tournament, children’s events, and a final firework complete Acireale Carnival’s celebrations. 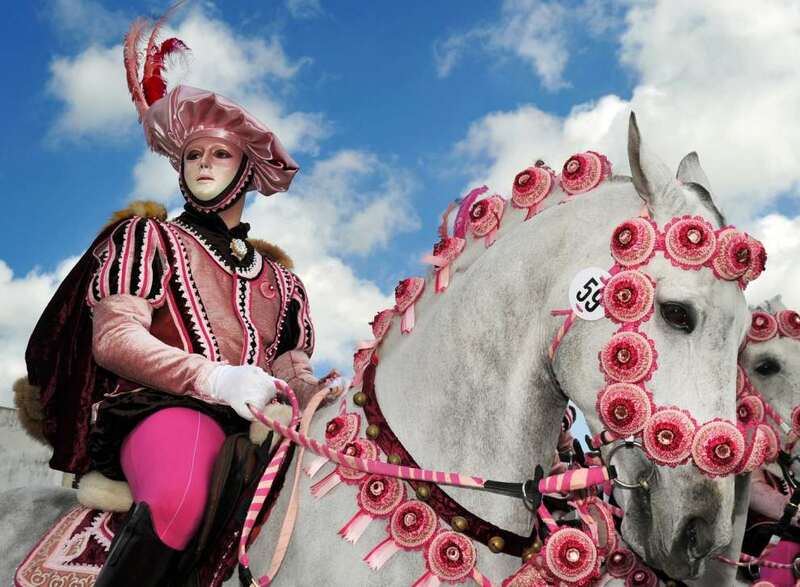 The Carnevale di Oristano is one of the most original Carnivals in Italy: the town of Oristano celebrates Carnevale with a costumed parade, horse races, and a re-enactment of a medieval jousting tournament in a festival called Sa Sartigilia. 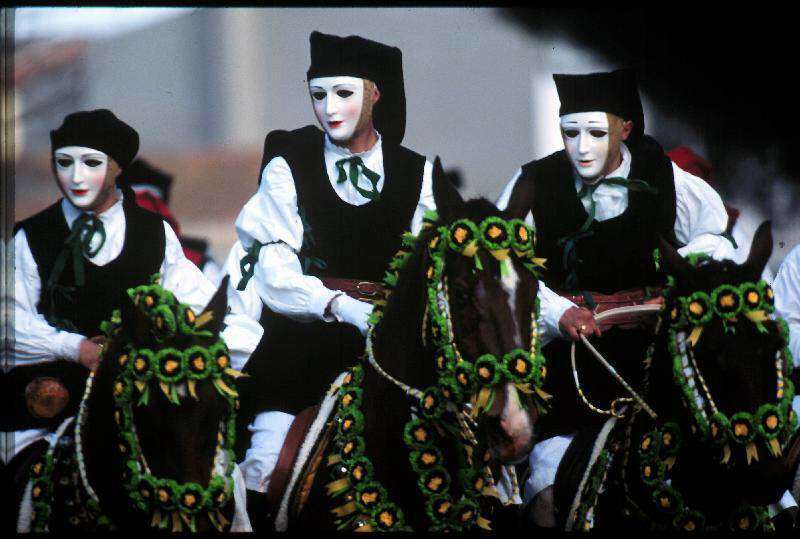 The Sartiglia is a unique and spectacular equestrian event. It takes place on the last Sunday and the last Tuesday of Carnival. 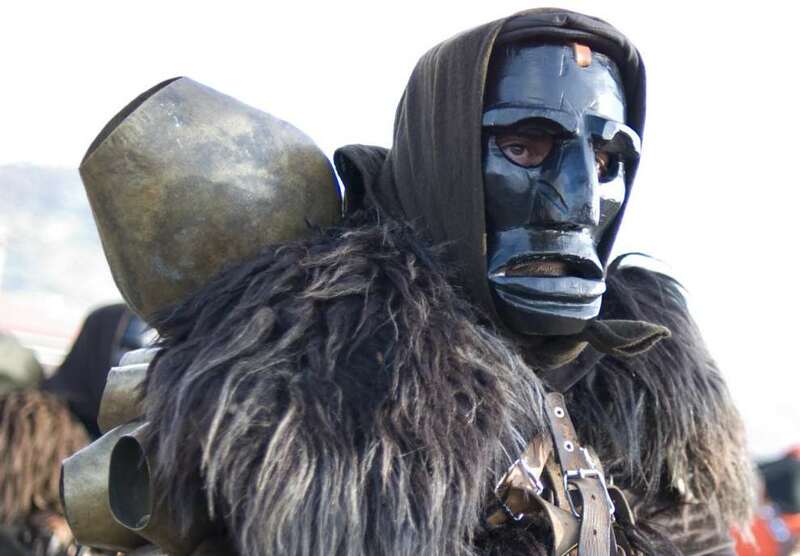 The main figure is Su Componidori, an enigmatic figure, attractive because of the gorgeousness of his androgen mask, which guides the other knights. 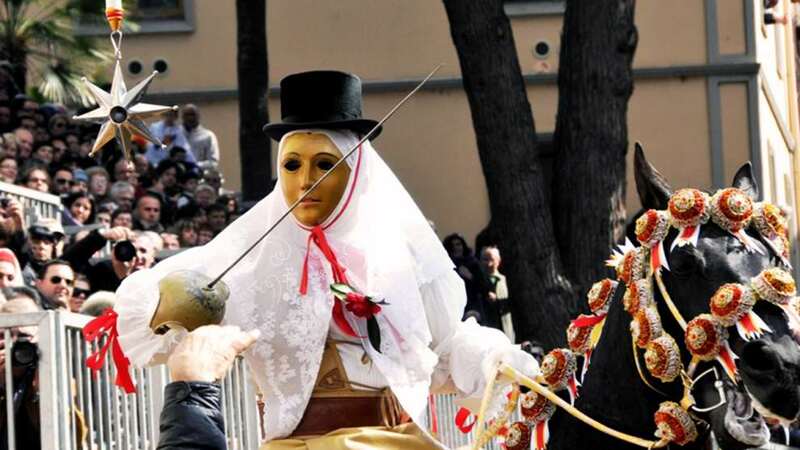 Organized from two Gremi or Corporations, on Sunday from the countrymen and on Tuesday from the carpenters, Sa Sartiglia begins with the dandification of the chief runner by young ladies in traditional costumes, called “is massaieddas”. 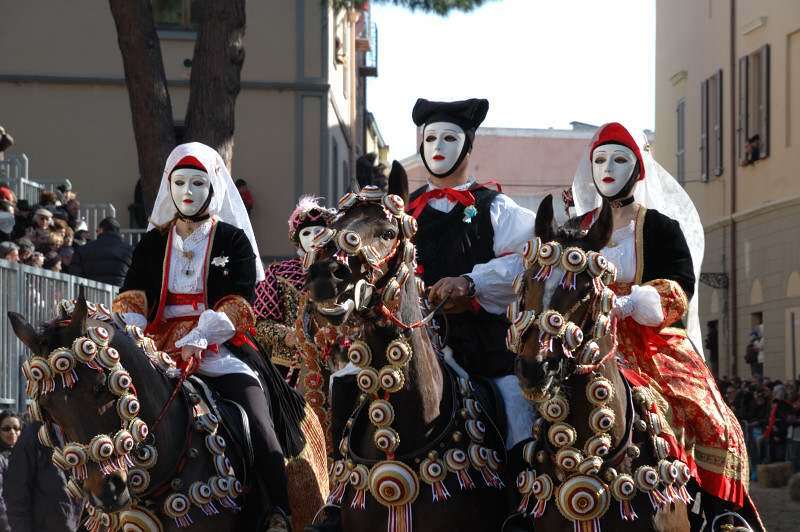 Proceeded by the “Bettenieri” and by the tambourines behind the masked cavaliers, “Su Componidori” crosses the city blessing the population with “Sa Pippa e Maju”. (Springtime flowers). 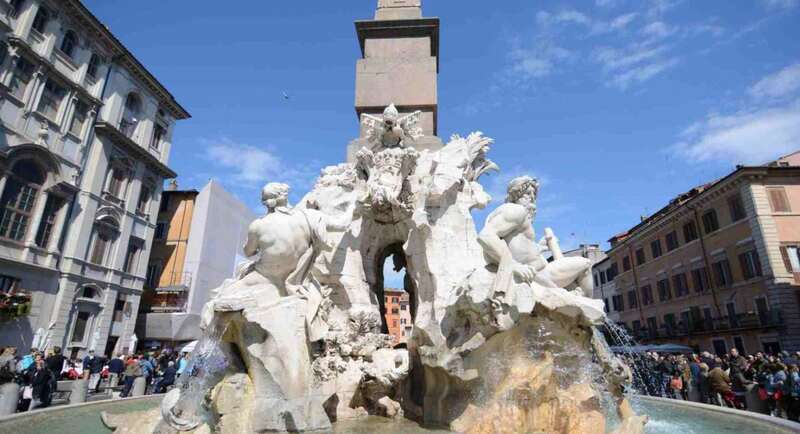 The event takes place in via del Duomo where a star hangs on a green silk cordon in which the knights must impale their swords running galloping on their horses. Counting the impaled stars they decide the auspices for the next year. I don’t usually reblog but I loved the images from this post on Delightfully Italy, as it’s nearly Carnival time here in Italy, a great way to brighten up your norther hemisphere winter days!! What great images! I reblogged this and I am so glad I saw your post, it made my day! Brilliant work! Thanks a lot for liking my post and reblogging it! 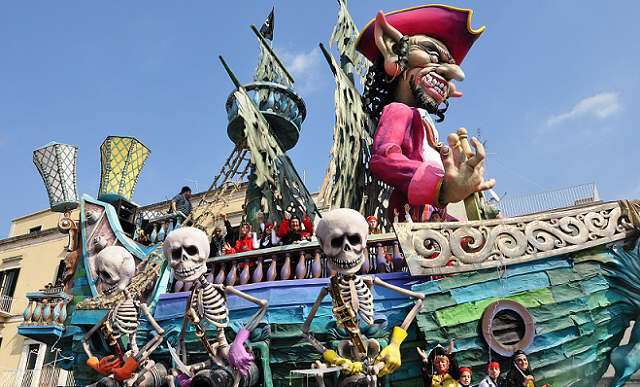 Carnival in Italy is really a great period, and this year I’m planning to attend a couple of local Carnivals with my 10 years old son. Venice, above all, and maybe Acireale, If I manage to find low costs tickets to Catania. Yes, Carnival really brightens up the winter! 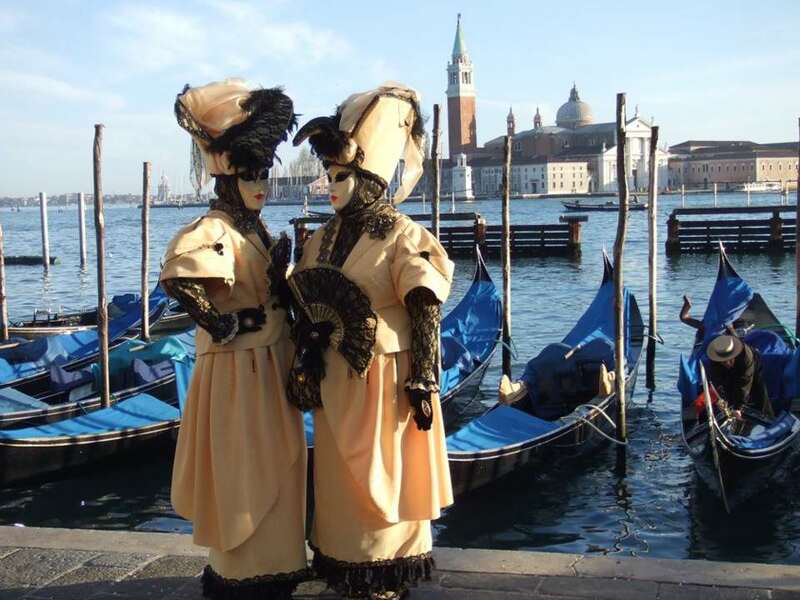 It would be beautiful to see carnival in Venice, I’ve never had a chance to see it. After seeing your post I’m going to do my best to make it to Acireale as I live in the province of Messina!! Enjoy it all. 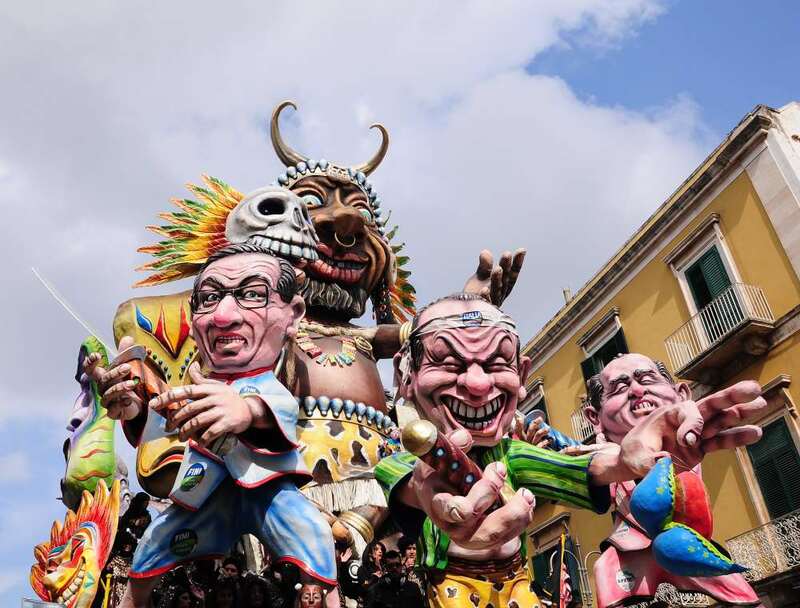 Thanks so much for all the beautiful Carnevale pictures – it’s so interesting to see how the different regions celebrate. 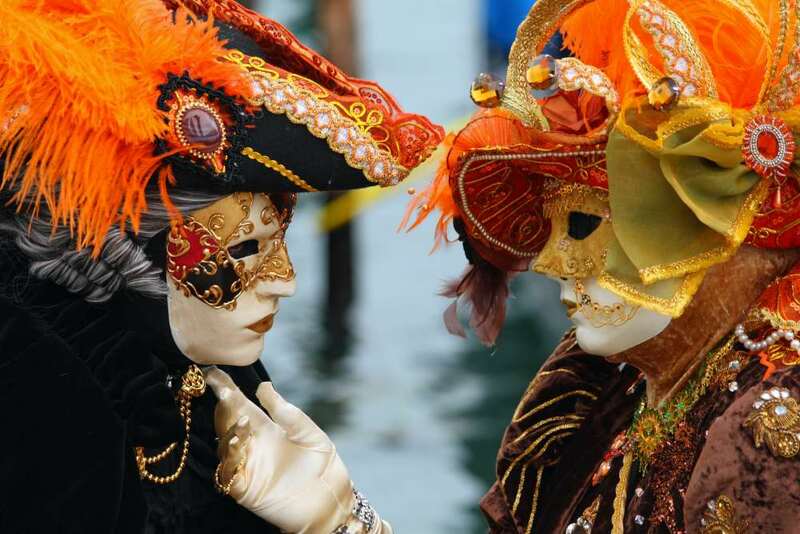 One of my dreams is to attend the Venice carnevale one of these days – I think the costumes and the masks are absolutely captivating and lovely. 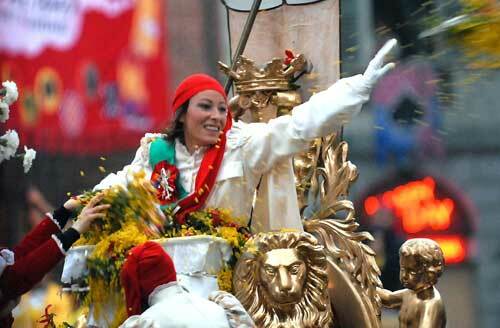 Enjoy the season and I look forward to hearing about this year’s carnevale celebrations. Which one will you attend? I’ll certainly go with my son to Venice, it’s only a couple of hours from Milan. I’d also like to go to Acireale (I love Sicily! ), but I’m not sure I’l make it this year. I’m so glad you enjoyed my post! 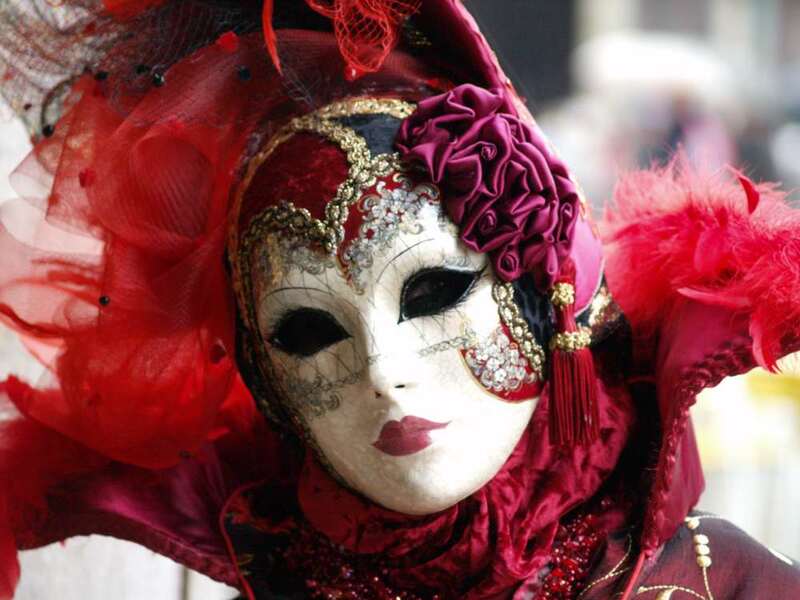 I wish uou all the best for your future Venice Carnival! Thanks Jen, happy to know you liked my post! 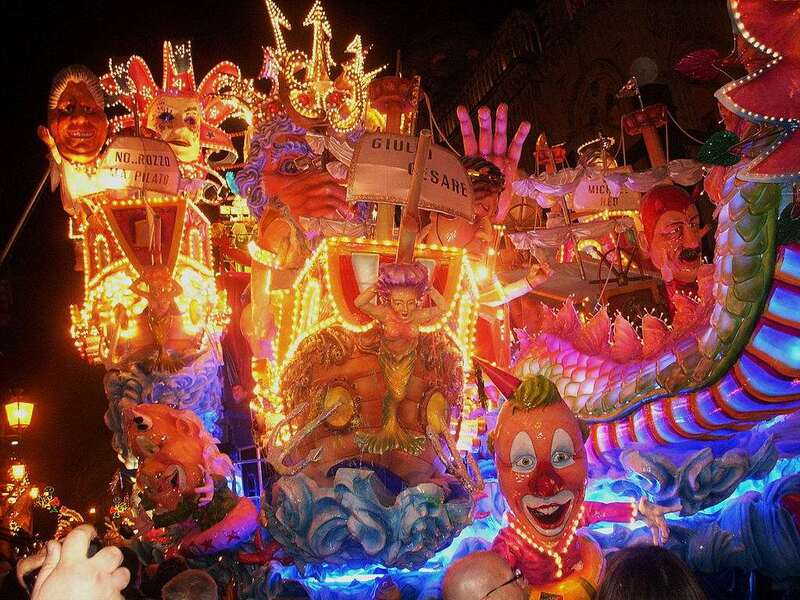 Carnival Acireale floats look fantastic all lit up. 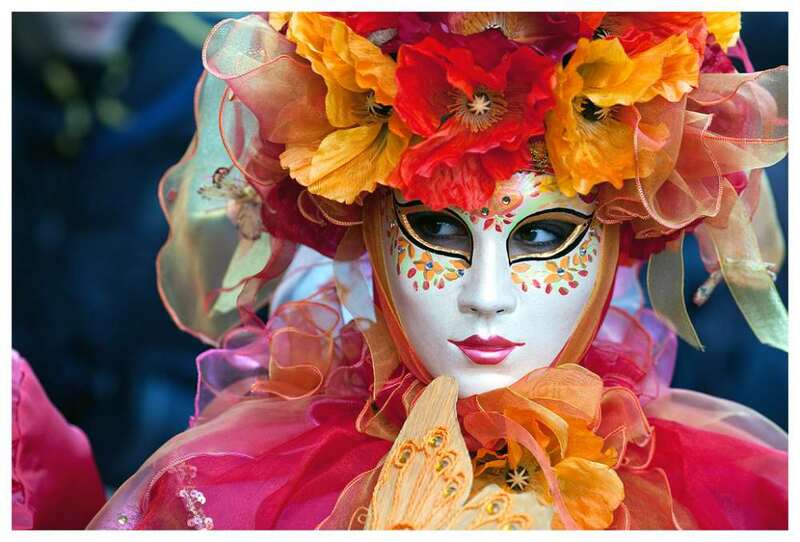 The Venice carnival masks are so freaky but enchantingly beautiful at the same time. 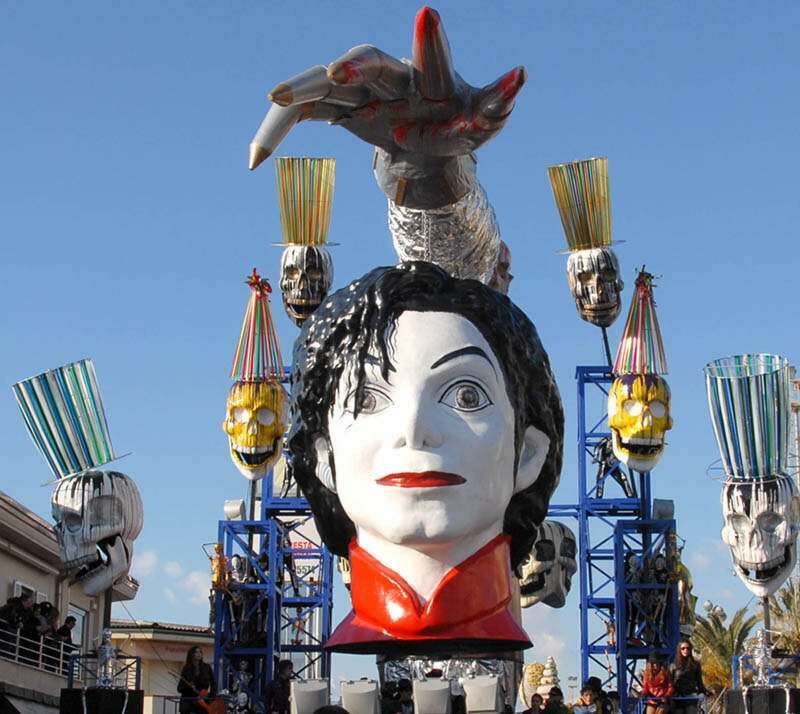 I have been to the Viareggio parade for the past few years and I love it. I have done several posts on it and I am sorry I won’t be there this year. These festivals are so much fun, with everyone joining in and having a great time. WOW!! Fabulous list!!!! And even better pics! Love this post! 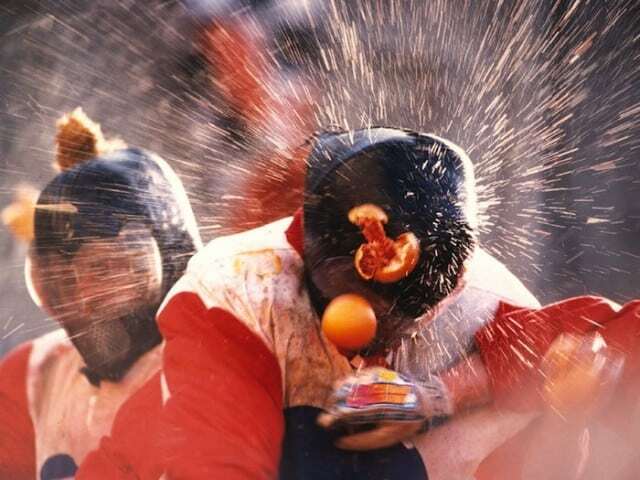 The Orange Fight looks crazy!!! !